We flew into New Orleans with basically the goal of consuming our weight in food over the weekend. Here’s a rundown of all the food we ate during our time there (with some excursions to break up the gluttony). 1. 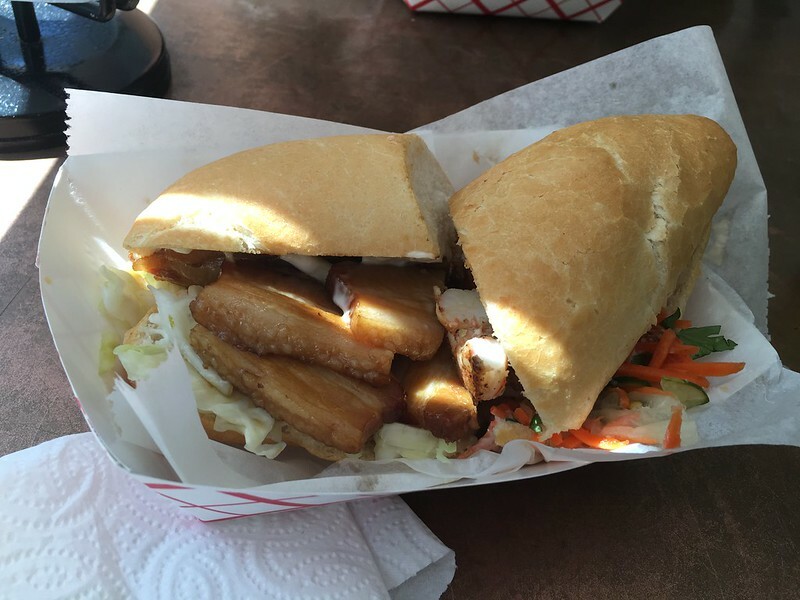 Killer Po’ Boys – I got a glazed pork belly po boy and my friend got a seared gulf shrimp po boy. We both agreed that hers was the better one of the two. My pork belly was a bit dry but the bread was good so not a bad start to our food adventure. They also had this rad California reaper raspberry jelly that was great on toast.